#Squaduary 2018: week 2 starts. #Squaduary 2018 week 2 is here! 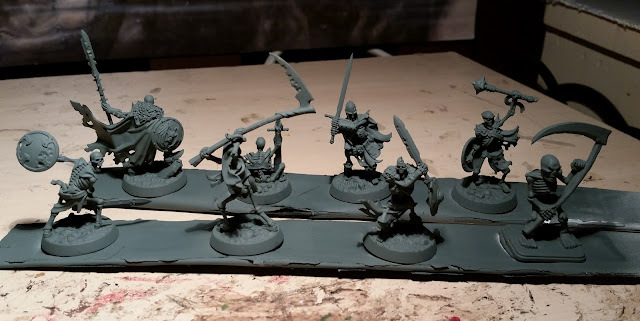 “So, week 1 and my first ever Dark Eldar models. 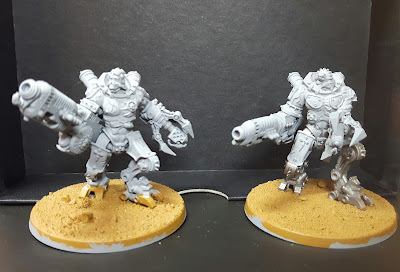 Second impression: “Man these are fiddly” as I get used to dealing with models which are much smaller than marines, or even guardsmen. However, they are utterly gorgeous models and I enjoyed building them. 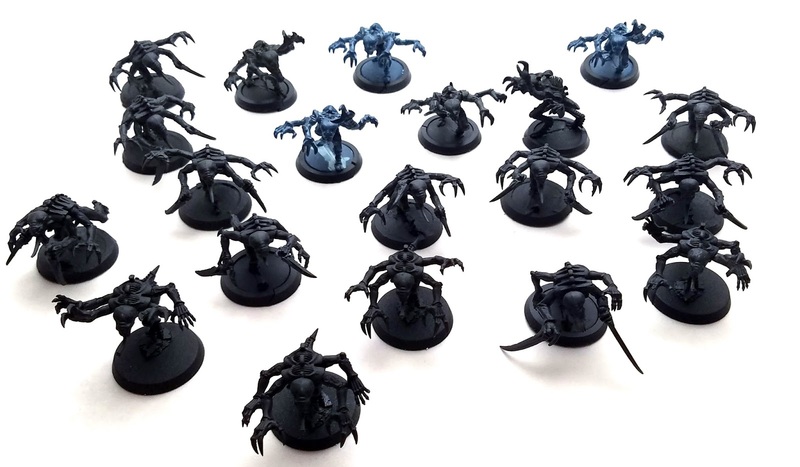 I didn’t enjoy building the Archon model – it really is a pain in the bum, but that’s not part of Squaduary. So, 3 bikes built, 3 riders build and one bike mostly painted. 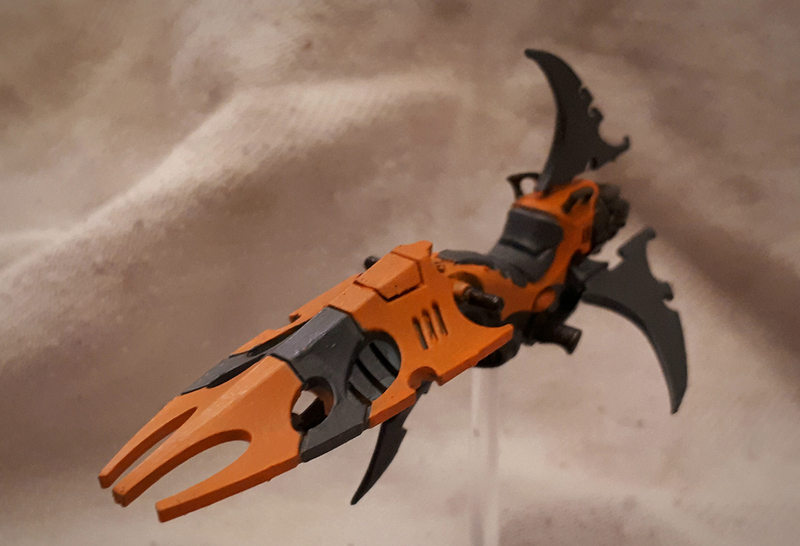 Not going for traditional Dark Eldar colours – I wanted to try something less common on the basis that I could fall back the Black and Green if my experiment didn’t work out. I think it worked out OK but happy to receive feedback. What do you think? 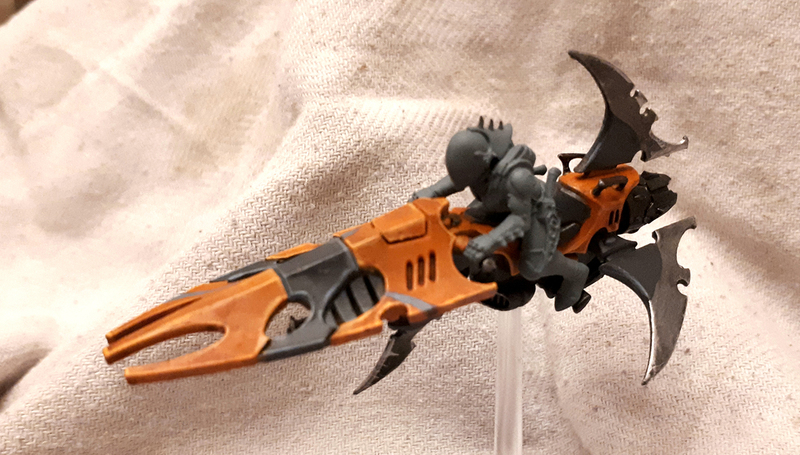 The first jet bike isn’t quite finished yet – I’ve got some spiked vine stencils that I got from Fallout Hobbies some time back. I don’t use an airbrush so it’s possible that using these to try and do some vine work on my bikes might go horribly wrong. I’ll start on the underside of the wing and see what happens. If you find me next week, rocking back and forward whilst wailing inconsolably you’ll know it wasn’t a success. 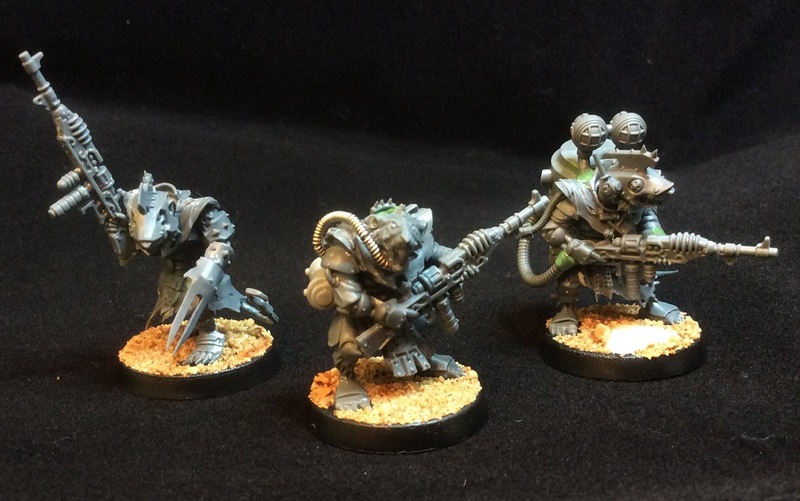 “The pursuer cadre consists of two parts, and GW doesn’t make models for either. 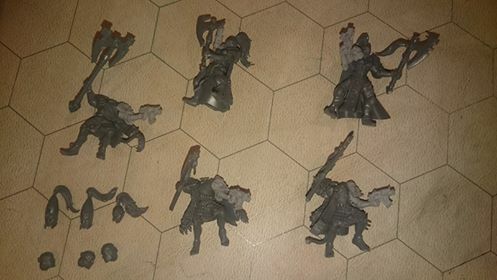 However I want to use my models at Warhammer World, so I need to use GW parts. This is the first major challenge of the squad. 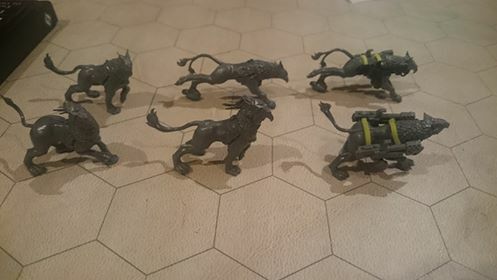 So, for the cyberhounds, a model that’s not been made since the 90s, I used gryffhounds with back-mounted flamers. No idea what colour to go with yet, but that’s another week’s problem. “I hope to take what I learned about edge highlighting and apply it in spades to these dark green power armored marines. 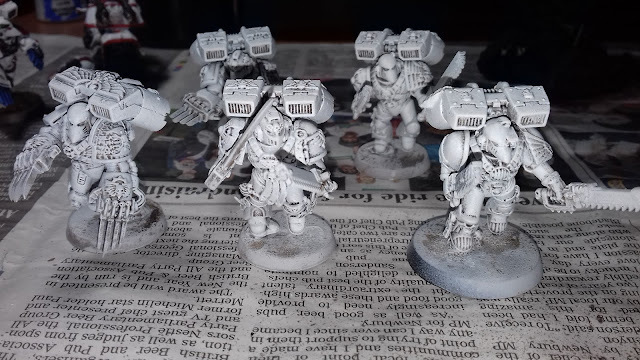 I intend to follow the GW paint recipe for Dark Angels over all, but I will be substituting in some Vallejo colors here and there for things like metallics where the color choice won’t take away from the overall Dark Angels look. “Things have gone far better than I expected and I’ve forged ahead. Behold the light of progress! If you missed my earlier post, these beasties are to be used on the field as Adeptus Mechanicus, so you might recognise some familiar weapons. 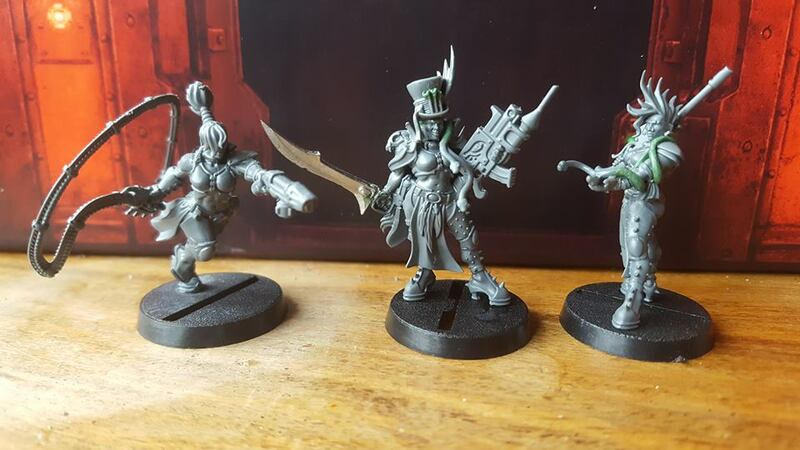 I was worried that the conversions would take way too long, but handily it turns out that the Skitarii arms are almost compatible with the Stormvermin kit (read compatible very loosely). “I’m on a roll with this new project; and to prove it here’s a rather grizzly beastie fresh from the forge. He is a bit of a mash-up of parts. 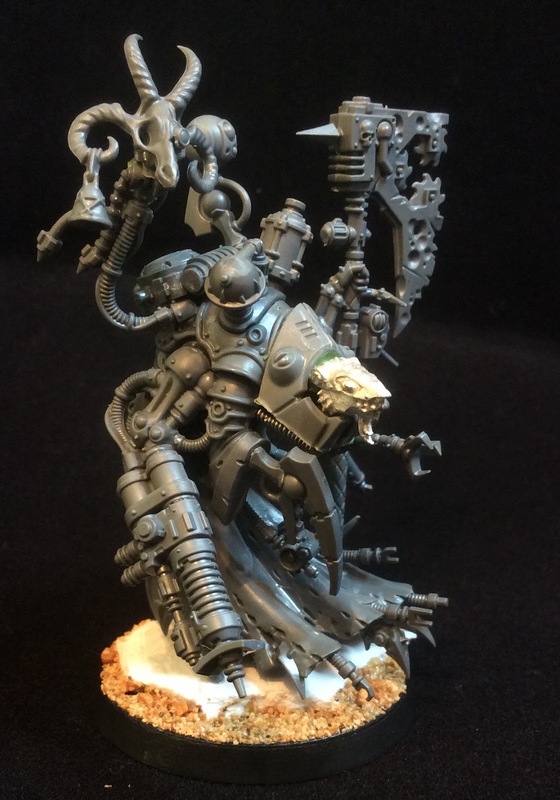 Kind of what I envisage for a Warlock Engineer given 40,000 years or so to really get his madness down. 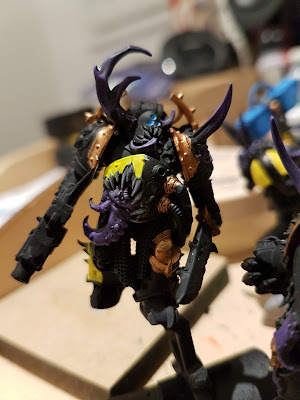 I’ve used the Tech Priest Dominus as a base, which has to be the best decision I ever made as it is such a nice model. 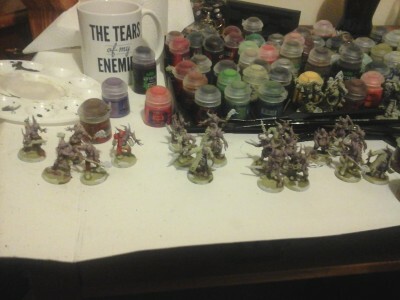 “I had pledged to get several units of my White Scars painted up, needed for a tournament at the end of the month. 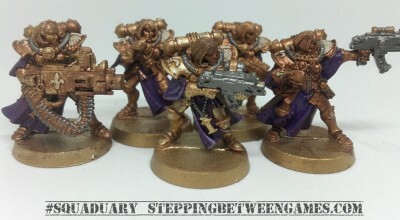 The units I want to complete are a squad of Vanguard Veterans, Assault Marines and a Scout squad. First highlight. Two parts Orkhide Shade, one part #warcolours Green, one part water. Aiming for an ink like consistency. Edge highlight the last coat of Orkhide Shade. 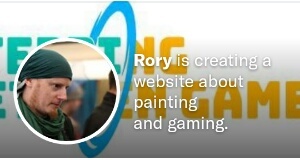 We have started up a Patreon account to kept the site and the hobby going. I would be very grateful if you could think about signing up. Click the image below to find it.